Your human little one really, really wants a dog, and you think it’s finally time. But what kind of dog should you get? Does it matter? Should you just let your kid pick out whatever dog she likes? Are smaller dogs safer because they can’t do as much damage? Popular culture has taught us that dogs and children go together like peanut butter and jelly, but unfortunately, this isn’t always true. Little dogs can actually be a bad choice because kids look at them as toys… and injuries often follow. Big dogs can be a bad choice because, well, they’re big, and it can be harder for them to be gentle without careful training from the humans. The simple truth is there are some dog breeds that tend to be better for kids than others. And lower energy dogs — regardless of breed — also usually interact better with children because they are more patient. The following 10 breeds tend to be the best dogs for children. 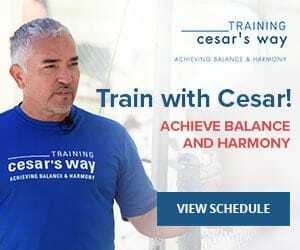 But remember what Cesar says:”Animals, species, breed, name — in that order.” He explains, “Even though certain breeds contain these characteristics, the breed is only something to be aware of when considering your dog’s innate needs. More important, is their inborn energy level. 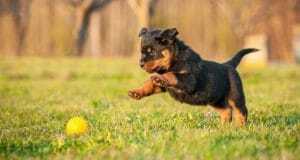 This varies within the breed, and even the litter.” So matching your new dog’s energy level to your family is more important than seeking out a particular breed. Do you have a little one who never seems to run out of gas? Pair them with a beagle and see how they fare. These clever, friendly dogs do need a lot of exercise — and have been known to wander off on adventures if you don’t keep a close eye on them — but they’re great with active kids. They love playing and are built strongly enough that you don’t have to worry about your child hurting them. Just make sure you teach your kid not to give them table scraps, because they have a tendency towards obesity. Yes, it’s true that boxers are energetic. But they’re also playful, affectionate, pack-oriented, and they love kids. Just make sure that you give them plenty of exercise, because they are prone to barking, digging, and becoming high-strung when they have pent up energy. Calm, gentle, and friendly with children, bulldogs are small enough that kids can easily interact with them, but sturdy enough that they can stand up to a fair amount of rough play. As a bonus, they also serve as great guard dogs for little ones, protecting them from potential dangers. This gorgeous breed is known for its cheerful disposition and desire to please. A cocker spaniel is likely to be just as happy snuggling on the couch watching TV as he is running around in the yard with the kids. The only thing to be wary of is that, while they are both playful and gentle, this breed doesn’t tend to react well to teasing, so your kids will need to be trained at least as much as your dog. You know who’s a collie? 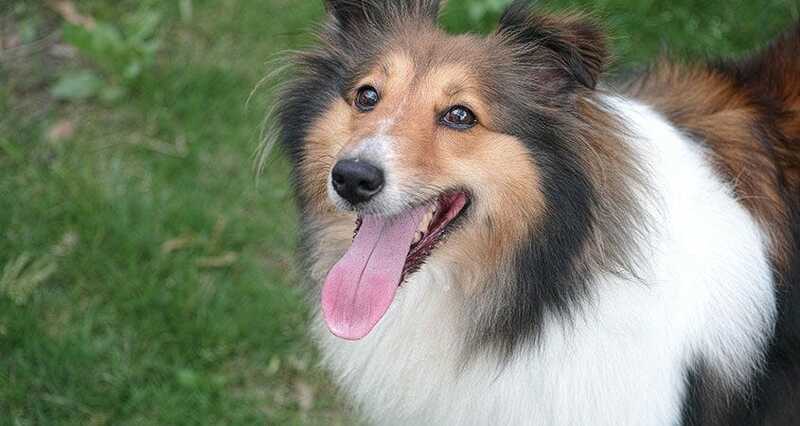 Lassie. Now we’re not saying that your collie is going to be rescuing anybody trapped down a well, but that should give you a pretty good idea what you’re getting. Gentle, predictable, and easy to train, they love kids and tend to be protective of their pack. Your biggest problem may be discouraging this former herding dog from herding your children. It might seem awesome, but it’s not. Known for their patience, which is something all parents probably wish they had more of, Golden retrievers are also loyal, kind, and smart, so they interact well with growing kids. They do require quite a bit of exercise, but they love playing so much this probably won’t be a problem for your kid. Another dog that’s wonderful with little human bundles of energy because they love to play and frolic — in other words, they’ll wear your kids out! Nothing makes Labs happier than pleasing their pack members, making them eminently trainable. The worst thing about Labs is that they only live 10 to 12 years and are prone to tumors, which can shorten their time with your family. Why a mutt? Because mixed breed dogs often mean you get the best of both worlds, softening the edges of purebred dogs’ more outlandish characteristics. 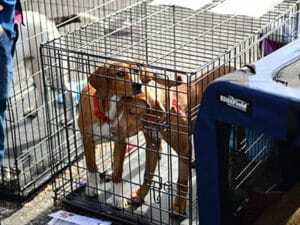 Plus, mutts tend to be generally healhier than purebreds, and they are also the dogs most in need of rescue. If you talk with shelter workers, they will often be able to tell you in detail about the personalities and histories of the dogs under their care. This means you have an even better chance of choosing a dog that will fit in with your family and get along with your kids. Medium dogs are best because they’re not too big to overwhelm your kids (or you) and you don’t have to worry as much about your child accidentally injuring them. The media pays a lot of attention to pit bull attacks — way more than other breeds — but these pups are actually great with kids as long as you do a good job of training and socializing them early. Luckily, pits are smart and highly trainable — plus, they really like pleasing people. Couple that with the fact that they’re energetic, playful, and solid enough to put up with a lot of roughhousing, but don’t need a whole lot of exercise, and you have a wonderful dog for children. Plus, who’s going to mess with a kid who has a pit? Smart, gentle, patient, loyal, caring — and they’re wonderful if anyone in your family has allergies! Poodles are happy to play with kids, but they also aren’t overly energetic, so you don’t have to worry about getting worn out. Did you take the plunge with a new dog for your family? What did you select and why? Share in the comments!